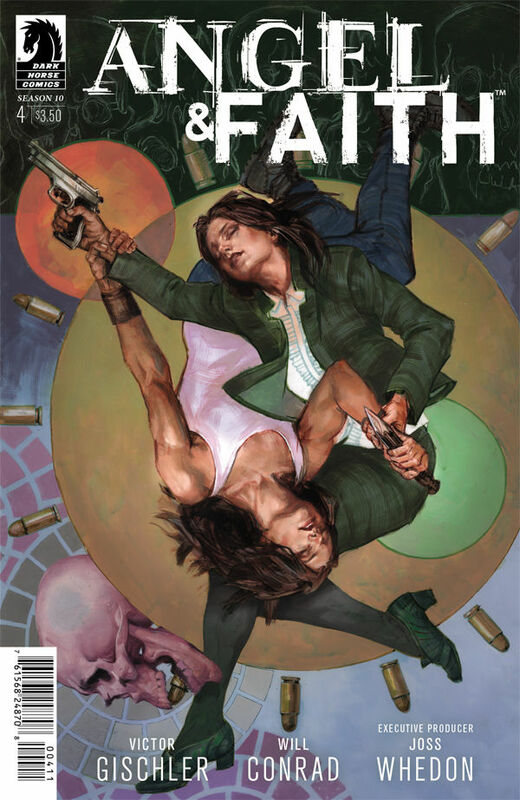 Check out my review of Angel & Faith season 10 issue #1 here. The first mini-arc of Angel & Faith season 10 wraps up with a bang and a new revelation in issue #4. The story is very Angel-heavy, and focuses on his big fight with Pearl. My biggest concern here is that three characters have been brought back as adversaries/companions. Why do we keep re-treading old ground? As much as I enjoy seeing old favorites, I’d like to meet some new big bads even more. The art continues to impress me, and I’m very excited to see what plan our new (old) villain has for Angel – and how Faith will end up back at his side.